We have a resolution for you, and that is to take better care of your skin. Now, we don’t want to hear any of these excuses: “It’s too expensive”, “I’m too lazy before bed”, or the classic “I don’t know which products I should use. This routine is so simple, and best yet only $67 for all three of these amazing products! Now to squash the last excuse… read below to learn all the benefits of this 3-step evening skin care routine! Step 1: Flush the dirt away! We’re sure you’ve heard this a million times, but the message is important enough to repeat: wash your beautiful face before bed! Cleansing your skin should be the first step in your evening skin care routine. 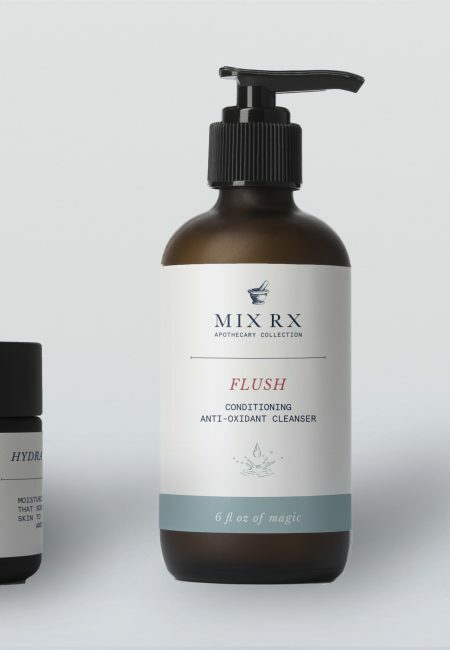 Flush is a gentle, antioxidant cleanser that uses the conditioning properties of chamomile, aloe, cucumber and Japanese green tea extracts to reduce inflammation, soothe and tighten skin. Even more importantly, this cleanser is perfect for removing makeup and will eliminate your need for an extra makeup-removing product. Plus, it has great emollient properties and the hydrating power of a lotion—just what your sleepy skin needs! What’s in the mix? Aloe vera, chamomile, and green tea. How to use: Work Flush into a lather and smooth over a moistened face using gentle, circular motions. Rinse with lukewarm water and pat dry. Ahh, doesn’t that feel good? Step 2: Nourish those eyes with Calm! Ever wonder why you need an eye cream that is separate from your all-over face cream? Well, you may have noticed that the skin beneath your eyes is typically different than the skin on the rest of your face. It’s thinner, more delicate and is profoundly affected by any facial movements. Ultimately this results in the skin around your eyes drying out and showing signs of wear and tear. Starting early with an eye cream is important to minimize effects of having your normal human emotions and expressions! Calm eye cream, paired with getting a healthy amount of sleep, will reduce those puffy eyes. What’s in the mix? The all natural compounds in this ultra-rich cream are matrixyl, haloxyl, and eyeliss. These ingredients absorb quickly to restore moisture under your eyes. You can now kiss your pesky dark under-eye bags goodbye and say hello to bright eyes! How to use: Start by putting a pea-sized portion of Calm on the back of your hand and then onto each of your ring fingers so that you have enough for each eye. First move from the outside of your eye in, and press lightly. For nighttime use, use Calm all around the eye, from under the eyebrow to underneath your eyes. Step 3: Make Amend’s With Your Skin! Your skin has to deal with stress and pollution throughout the day and needs some night time care to rejuvenate after a long day of hard work. It’s hard always to give your skin the TLC that it needs and deserves, but this final step of your nighttime routine is quick and easy, so no excuses! If your skin could talk, we bet it’d be thanking you for amping up your bedtime routine with our nourishing, soothing night cream, Amend. Made with earth’s most powerful natural compounds, Amend’s rejuvenating collagen and soothing Aloe Vera join forces to tighten and soften your skin, while retinol works hard to reverse the signs of aging. What’s in the mix? While the collagen in Amend helps to stimulate cell growth to improve your skin, Aloe Vera will work hard to nurse your face back to health. How to use: Use this cream as the final step of your nighttime routine. Apply Amend over skin to provide instant nourishing, hydration, and a long-lasting soothing effect. Amend works best when coupled with a night of good rest. Now that you have got down the P.M skin care routine read what you can look forward to in your morning routine! 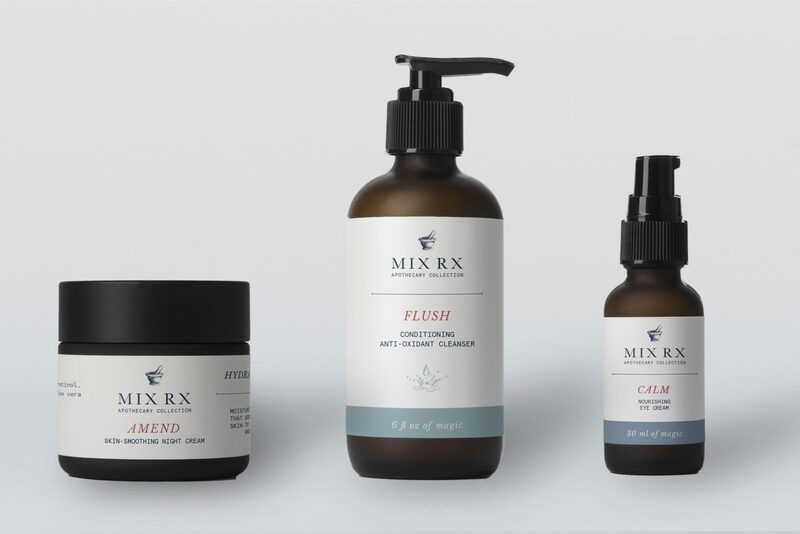 For more information on Mix Rx products, or if you have any questions, please do contact us here.